Vintage mesh bracelet by Bijou Heart. $805. Visit Net-a-Porter for purchase. 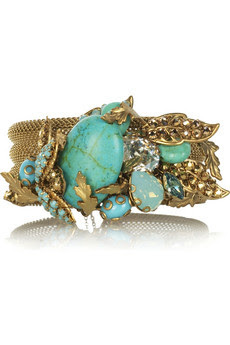 This bracelet is a definite showstopper! It looks like it was taken directly out of a dream and placed in a boutique. The arrangement of stones on the gold frame is surreal. We love it because it can stand alone and upgrade any outfit.